All those sweet baby sundresses are lovely, but give us a winter baby any day. They’re way cuddlier than a hot water bottle, and have you ever seen a newborn in a fur-trimmed onesie? Here’s why you’re winning if you’re a winter-baby-mamma. During those first few months with a newborn, you spend a lot of time at home. You have to slow right down and rewire yourself to move at your baby’s pace. This can be tricky during summer, when everyone’s racing around doing fun things. Much easier during winter, when cuddling up on the couch with your baby is a perfectly acceptable way to spend the day. This is such great bonding time, and there’s no better place to do it than your cosy warm home. Here’s to popping your baby in the pram and taking long walks through the park – without breaking a sweat. Most babies love an outing in the pram, and if you’re lucky, they might even drift off and let you enjoy some down time at a cafe. Of course, long walks are an option in summer too, but pushing a pram in a heatwave is zero fun. For now, enjoy the gentle winter sun, and get some good use out of grandma’s knitted pram blanket. One of the biggest concerns new mums have in winter is how to dress their babies for the cold. The answer? Layering! Onesies, followed by a warm cardigan and hat are easy and effective. It really doesn’t have to be a drama dressing babies in winter – in fact, we figure it’s the best part, with all of those super cute triple-zero outfits to choose from. For nighttime, check the safe sleeping guides, and go for a nice warm onesie. A safe infant sleeping bag can then be good option for keeping them snug. On top of this, you can swaddle newborns in a lightweight cotton blanket (just check that the blanket won’t be able to come loose). The rule of thumb during winter is to think about what you would wear to keep warm, then add one more light layer. Mums with summer babies will know what we’re talking about here. In summer, breast- or bottle-feeding your baby can be pretty sweaty work with all that additional skin contact. In winter, you can actually enjoy the closeness and take your time with the feeding. And let’s face it, feeding takes up a big part of the day with a newborn, so the comfier, the better. You need lots of help when you’re home with a baby, and in winter, you might just find that you have a stronger support system, since no one’s taking off on long summer holidays. 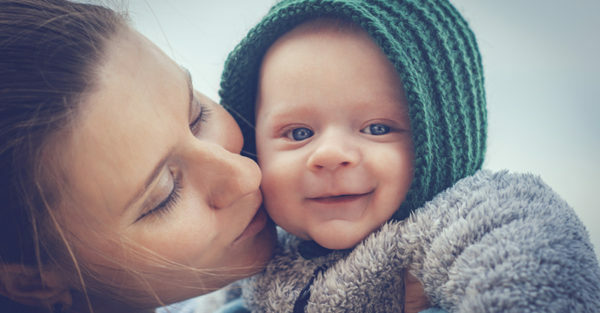 People are around, and there are usually lots of things happening for new mums – unlike December and January, when lots of baby activities close down for summer. Consider this a wintery blessing for you and baby. 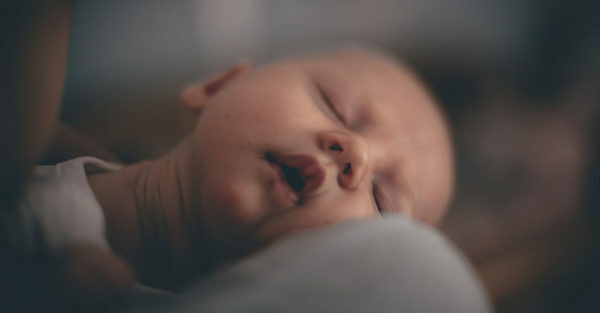 When you’re living through the foggy newborn days, sleep is a rare and precious thing. You take it, whenever you can get it. Thankfully, in winter you don’t have to worry about hot, uncomfortable nights. Instead you can just face plant right into your big warm duvet, and grab as many hours as you possibly can. It’s also better sleeping conditions for baby, as long as you keep their room at a comfortable temperature. It’s true. A 2014 study by the University of Budapest found that people born in summer are more prone to mood swings. While those born in winter were significantly less prone to irritable temperament than those born at any other time of the year. Extraordinary! Winter baby = happy baby. If you needed any more reason to have a winter baby, this is it. Are you expecting a winter baby? What are you looking forward to?